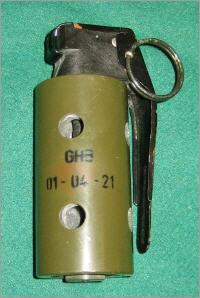 Flashbang grenade from an unknown factory. 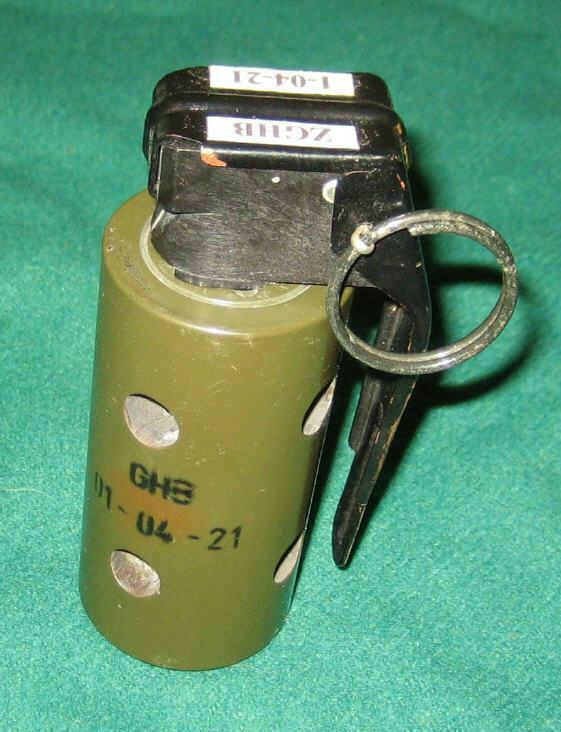 Shows some similarities to the NICO grenades. 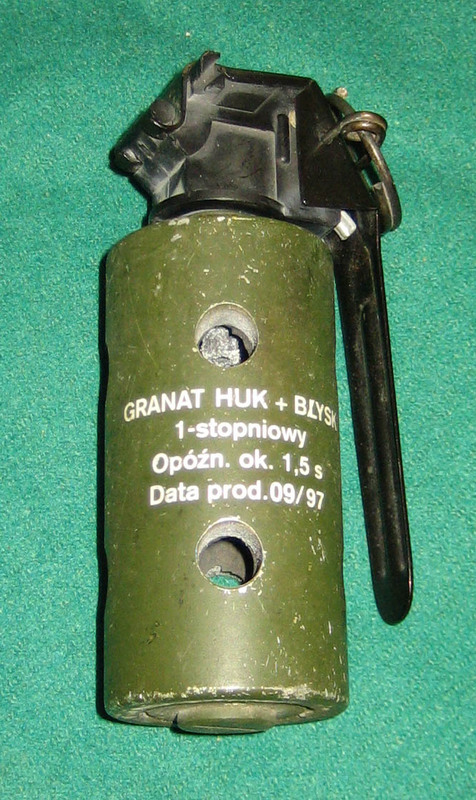 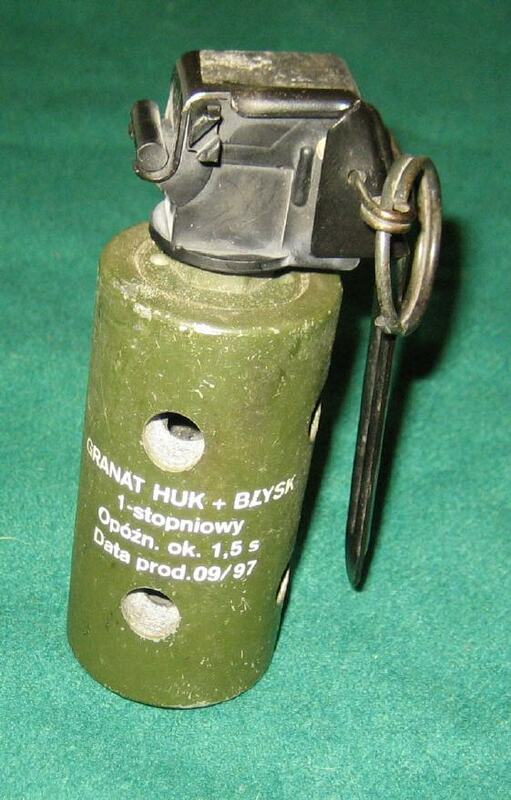 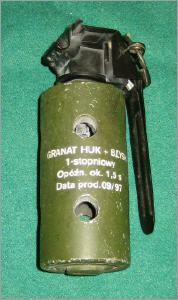 This flashbang grenade is manufactured by Nico for a Polish contract.